Yoga classes unite body and mind by bringing focus to movement with breath, helping to find our inner peace that resides within each of us. Each class builds physical strength, improves flexibility and balance, and helps to relieve tension and stress by calming the mind. The core is integral to both movement between poses as well as maintaining poses. Yoga prepares the body to be able to deeply relax at conclusion of class with meditation. 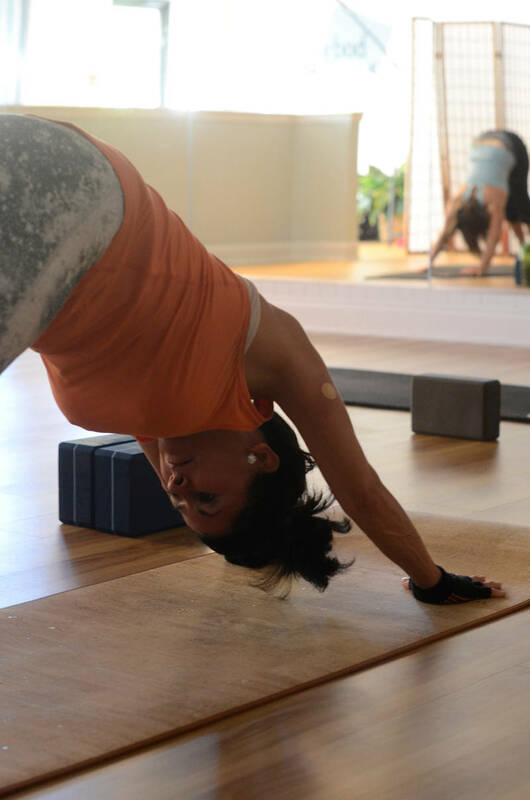 Bodylines Yoga Flow classes incorporate Vinyasa flow yoga with Pilates principles. Each class includes yoga sequences and Pilates exercises to strengthen the body, center the mind and invigorate the soul. Stretches help to relieve tight muscles while focusing on breath. Balance postures help clear the mind and improve stability. Each class ends with a calming meditation. You will leave feeling more energized, centered and refreshed. A slow-paced Flow Yoga class set to candle light that focuses on breath and postures to release tension and relieve anxiety. Soothing music, rejuvenating postures and deep relaxation combine to refresh your body and mind. A great class for all levels and anyone seeking a rejuvenating and restorative yoga experience. Stretch, relax, and release your day. Yin yoga is the perfect balance to our fast paced yang style lives! It is a slower, more meditative practice characterized by gentle postures held for several minutes. These postures are designed to release tension and gently rehabilitate the muscles and connective tissues that make up our joints. This class will be a well-rounded approach to opening the body as well as turning inwards to cultivate an awareness of ourselves.